Protecting your trim and tire couldn’t be easier! Blackfire Trim & Tire Protectant was created to give both the professional detailer and the detailing enthusiast the perfect tool to quickly apply a protective layer onto their tires and trim. 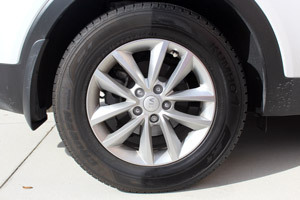 Blackfire Trim & Tire Protectant has proprietary formula that allows it to penetrate deep into most plastic and rubber surfaces, revitalizing the faded surface and providing a satin finish. 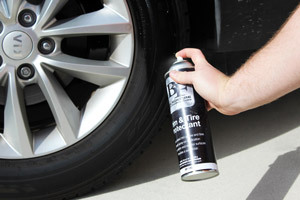 Blackfire Trim & Tire Protectant boasts an extremely simple and easy spray on, walk away application process that will please anyone who uses it! Clean the surface to be treated with BLACKFIRE APC All-Purpose Cleaner before application. Spray the product directly onto the surface you intend to treat. Allow product to air dry. Buff off excess product using a dry microfiber towel. Multiple coats will provide a higher shine. 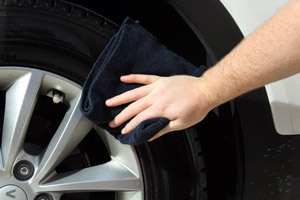 I found that this tire treatment is excellent in everyway! 1. 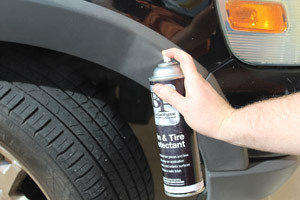 It sprays onto the tire with ease and direction, does not spray onto my wheels. 2. The look after the treatment is amazingly deep. 3. It lasts a long time with its appearance. 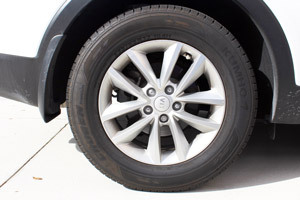 excellent product for tires, very nice subdued shine, not glossy or shiny. Spray tires wipe down if necessary. Stuff is really great. Best shine I've ever seen. Highly recommend it.